Metro passengers are set to face a price hike in 2017. Overall fares on the Tyne and Wear system are to rise by an average of 1.4% from January 2017. Day tickets, as well as annual passes, are to have their prices increased as part of a package of changes agreed by councillors on the Transport North East (Tyne and Wear) Sub-Committee of the North East Combined Authority on Thursday. There will be a 10p or 20p rise in day tickets, while for annual MetroSavers, the increase will be up to £50. Single tickets, meanwhile, will be frozen in price, as well fares for children and young people aged 16 to 18. Nexus, the public body which owns and manages Metro, will also introduce bigger savings for customers travelling with Pop Pay As You Go smartcards. There will be a 20p saving on single journeys, and 30p on the cost of DaySaver tickets with a Pop Pay As You Go card. Nexus says the changes will see the amount passengers pay rise by less than the 1.9% Retail Price Index (RPI) rate of UK inflation from July, used as a guide to set rail fares by. It is the fourth year in a row the average Metro fare rise has been below the rate of inflation. Tobyn Hughes, the managing director of Nexus, said: “We’ve listened to our passengers who told us they wanted bigger discounts for Pay As You Go. "The enhanced fare cap means we are able to deliver even more affordable Metro travel for passengers. “I’m also pleased that we are able to freeze the price of single and weekly tickets, which are our most popular products. "We are also maintaining the generous discounts that we offer students and young people aged 16 to 18, and will also be reviewing whether it will be feasible to introduce new products for this age group for single and daily journeys. “This is the fourth year that the average fare rise has been kept under inflation. "Metro passenger numbers are almost at the 40 million mark and this is achieved by keeping the fares low. 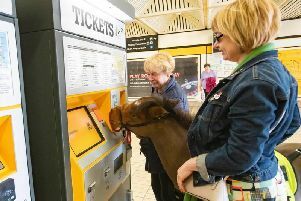 “Some other fares are going up in order for us to cover higher running costs. The 2017 Metro fares come into effect from Monday 2 January.